My new glasses just don't seem to be doing their work as my eyes are very tired......but the bounty received has made the discomfort worthwhile. Together with Mr Geniaus, my research assistant, I spent quite a few hours at The Family History Library looking for info about his 3 x Great Uncle, John Gowans, who moved from Scotland to New York around 1860. We are particularly interested in locating any descendants. As time is short I printed out all the information I have on John and his two children and told Mr Geniaus to ask one of the mob of consultants/volunteers in the library for assistance while I set about other tasks. After talking to three helpers who were very friendly but not too fmiliar with New York records Mr Geniaus realised that he could search the catalog all by himself. While I found a number of references in newspapers and directories and to John and his son James Mr Geniaus found some promising microfilms and repaired to the US Floor to take a look at them. Bingo! He found three death certificates: one for John, his son James and his wife Anna Bouton. I just googled the cemetery, Green-Wood in New York, in which Anna and James are buried and found that thye have a database of burials on their site. I now have the location of their shared grave. I am sorry that I am not visiting New York on this trip - I guess we will just have to return to visit the graves. A huge case of verbal diarrhoea is about the descend on Salt Lake City as over 80 bloggers write about their experiences at the Rootstech Conference that is only four sleeps away. Geniaus will be adding to this flow of words but will also be punctuating her posts with snapshots. This pictorial post shows some snaps from our visit to The Family History Library yesterday. B2 - The British Isles Floor where Australian Records are found! Is is cold in Salt Lake City? FootnoteMaven, asked on twitter this afternoon "To those who have arrived, how cold really,...... Need packing advice. I cheekily replied that to an Aussie it is mighty cold. It really isn't too cold as there is no wind but I imagine that if there was it would be more than mighty cold. This picture taken of a house at Park City, just outside Salt Lake City, today might help FootnoteMaven with her packing dilemma. When Joan Miller had to retire from our panel presentation at Rootstech another Canadian genealogist, Lorine, graciously agreed to take Joan's place. I had met Lorine at Rootstech last year but in the hecticity of the event I didn't have a chance to have a good chat with her. I have been following her blog for some time as well as following her on social media including our newest dalliance, Pinterest. Just a week ago I asked Lorine if she would submit a profile to the GeniMates blog. Once again Lorine agreed to help me and filled out the submission promptly. Readers who are familiar with Salt Lake City may wish to ignore this post. I will be writing a few travel type posts for those people who have not yet made the journey to Salt Lake City and this is one of them. I think the sun may have been up early in Salt Lake City but Mr and Mrs Geniaus, who as they get older take a while to adjust to a change in time zones, had a comfortable sleep in at their hotel. We have a view of the mountains that encircle the valley in which the city is sited. We arrived in Salt Lake yesterday around 22 hours after leaving home yesterday. Lubricated by the beverages in the Qantas Club we were happy travellers when we boarded our A380. Thankfully our seats gave us plenty of legroom so we were able to stretch our legs, enjoy the movies and get a reasonable amount of shuteye. Our luck continued on our "full flight" from Los Angeles to Salt Lake City where we had the only empty seat on the plane in our row of three. We collected our rental car, fired up our US GPS and made it to the hotel without taking a wrong turn. On our short pre-dinner drive around the city I managed to visit Best Buy to look at techie toys and Batteries Plus to source a spare camera battery. These are less than half the asking price of $AU130 in Australia. I had a peek at the email and Facebook this morning and was perplexed by a message from Dear Myrtle "Jill, Are you on B-2 yet? Cannot spot ya!" All I could think of was Bananas in Pyjamas." All was made clear when I read Audrey Collin's comment " I'll be in the Library (B2) most of today." B2 is the floor in the Family History Library where the British and Australian records are stored. A library visit is on the agenda for this afternoon but now it's time for brunch. What is your favourite (non genealogy) book? I collect most of the responses for my GeniMates blog profiles via Google Forms. One of the questions I as is "What is your favourite (non genealogy) book?" The Normal View of the spreadsheet on which the responses are collated allows me to see all the responses to any of the questions on the form as a list. This list does not include the responses for those who have contributed their profiles by other means. You'll have to dip into the GeniMates profiles for those suggestions. As it is National Year of Reading in Australia I thought it would be fun to see what genealogists have nominated as their personal favourites. I've had to think too long for this question so there mustn't be a favourite. I read lots of books for my day job as a teacher librarian. Universe Bends Toward Justice: A Reader on Christian Nonviolence in the U.S.
Too many. I enjoy biographies and autobiographies but I suppose that it related to genealogy! This changes all the time. I would recommend "Bridie's Fire" by Kirsty Murray although again genealogy related because it is fiction set in historical Melbourne. There are too many to really mention, but one that springs to mind is A Town Like Alice by Neville Shute. Lots of books, but my recent favorite is "The Help." The Voyage of their life: Diane Armstrong. Not a good reader so don't have a favourite book. My favorite book is often the one I just finished. My favorite genre is mysteries. Anything by Jane Austen...yes I'm one of those. What do you read when you are not ancestor hunting? Week 4 – Free Offline Genealogy Tools: For which free offline genealogy tool are you most grateful? How did you find this tool and how has it benefited your genealogy? Describe to others how to access this tool and spread the genealogy love. When this post appears I will be in a jet plane en route to Salt Lake City, Utah for the Rootstech Conference where I'll meet up with several thousand two-legged free offline genealogy tools: PEOPLE. 1. My Ancestors who provide the Births, Deaths and Marriages that provide the scaffold for my research and the juicy stories, faded old photos and interesting anecdotes that add interest to that scaffold. 2. My Family and Descendants who provide a purpose for my research. I am trying to record our history for future generations. 3. My Patient Husband who turns a blind to the dust on the furniture and pile of ironing that waits for me as I ignore these for my genealogy habit. There is no particular order to the remainder of this list - as my needs change so does the importance of the persons detailed from here on. 3. The many Distant Cousins who have contacted me via online forums and the Geniaus website to say hello, offer corrections to my sometimes inaccurate date and generously share photos, certificates and stories. 4. Generous Volunteers who over the years have done lookups for me and given guidance when I have visited genealogical societies throughout the world. 5. Staff of Libraries and Archives Offices who have patiently assisted me with my research. 6. People who read and comment on my blog and website and send compliments via email and Twitter give me positive reinfocement that encourages me to keep solving my genealogical jigsaw. 7. Volunteer Indexers eg those who do work for Ryerson and FamilySearch and those who index cemeteries and photograph headstones provide me with the means to access to many valuable and appropriate resources. 8. My Online Genie Friends who, through a range of tools such as blogs, twitter, wave, provide blogging ideas, encouragement, links to great new resources,great stories and encouragement. 9. Decision Makers at The National Library of Australia who have a commitment to providing important Australian Resources in an online format. Trove is the most amazing free online resource for genealogical research. 10. The many Registered Members of Trove who are making corrections to the scanned text to better improve access by other users. Whilst I have only corrected 890 rows of text there are 4 volunteers who have done over 4000,000 rows each and are headling for the half million. Following is a list of links to responses that I have been told about or have found to The Bucket List Geneameme, I will continue adding links to the list as more genealogists take up the challenge. The responses make very interesting reading. Please take a look and see what other genies are dreaming about. I was thrilled when I opened my email this mroning and found that someone had taken up my offer to post responses to this lates meme. As I sit here contemplating my trip to Salt Lake City for the Rootstech conference next week I am wondering what sort of things are on other genealogists' Bucket Lists. A trip to the Family History Library had been on my bucket list until last year. I invite all genealogists and family history freaks to join me by sharing your bucket list of events, places, people and resources you would most like to experience before you leave this mortal earth. If you don't have a blog and wish to participate you can send your responses to me in an email and I will pop them into a blog post on the Geniaus blog. Please let me know when you participate by a comment on this post or by email and I'll collate a list of responses on this blog. Is there anything else on your Genealogy Bucket List? My mate Shelley over at TwigsofYore has issued a challenge for Australia Day 2012. Unfortunately in spite of all of their toil none of my ancestors was rewarded with wealth in the monetary sense. Rewards came in the form of happy lives and healthy families. 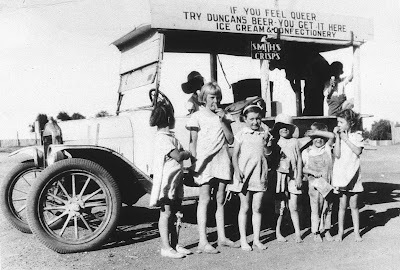 My grandfather, Frank Duncan, seemed to move from job to job in the country town of Cobar. As a young man he worked as a miner in Cobar's copper mines. After returning from World War 1 he purchased a station (very large farm) of 32,000 acres, Elsinore, outside of Cobar. He walked off this farm sometime during the Great Depression. From that time on he tried a few jobs. He had a catering truck that he drove around the countryside to feed the crowds at race meetings and other gatherings. From this van he sold his home made pies and the ginger beer he brewed. Together with my grandmother, Ethel Jane Pusell, Frank ran a cafe in Cobar. I am not sure how long this venture lasted. Frank eventually went to work at the Post Office. 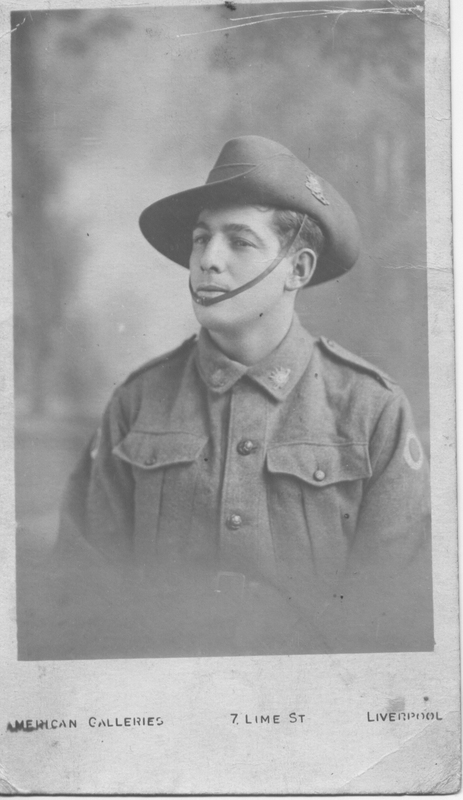 He rejoined the Australian Army in 1940 but did not see active duty. When the family moved to Sydney in the 1940s Frank worked at the Kensington Post Office. I am not sure what work he did there but I think he may have driven a van. 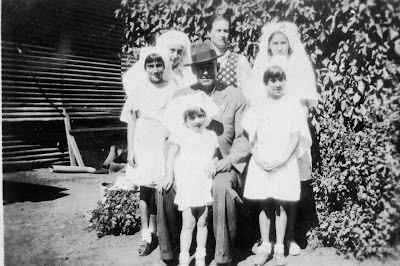 Frank was a proud man, the major source of his pride was his five daughters "The Duncan Girls" who were very fond of their "Dadda". 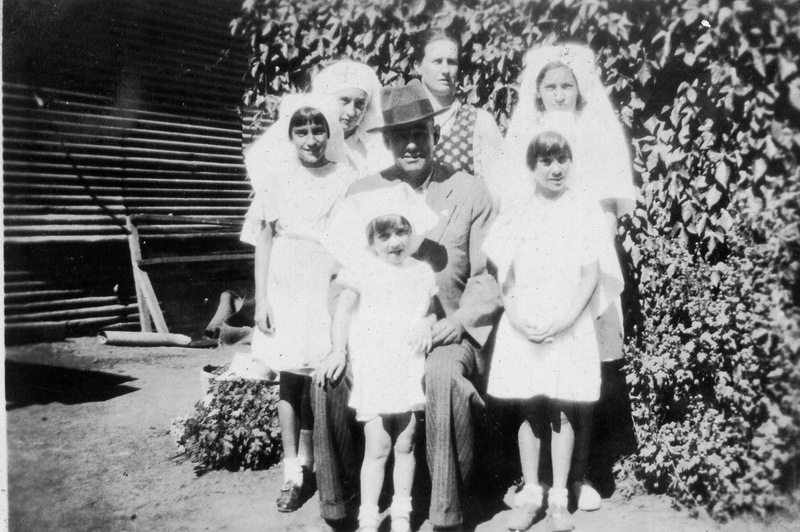 What they lacked in material wealth was made up by the richness of the happy family life that they enjoyed up until Frank's early death at age 53. Pinterest - Timewaster or Worthwhile Resource? Curiosity got the better of me a couple of days ago when Caroline Pointer of Family Stories asked on Twitter if anyone would like an invitation to use Pinterest. I have been reading about this tool and wondering exactly what it was for a while now so, even as I prepare to leave for Salt Lake City this week and am time poor, I couldn't resist Caroline's invitation. What is Pinterest? I see it as a social bookmarking tool that has a visual interface. Pinterest says "Pinterest lets you organize and share all the beautiful things you find on the web. People use pinboards to plan their weddings, decorate their homes, and organize their favorite recipes. Best of all, you can browse pinboards created by other people. Browsing pinboards is a fun way to discover new things and get inspiration from people who share your interests." Once I had my invitation to hand I logged in, set up my profile and looked for some genealogists to follow. What I immediately noticed was that the main focus of my contacts' pinboards was not genealogy but decorating, fashion, cooking and travel. Most of them also had a pinboard for genealogy. I decided to set up a couple of Genealogy pinboards with an Australian focus and then added Genealogy Humour, my Travel Bucket List, Recipes, Android Stuff and a pinboard for my US forthcoming trip. I wasted spent a hour or so playing with Pinterest yesterday and logged in a few times to monitor happenings there. It is intuitive and easy to use - I only had to consult the help menu once. There are a number of well-known genealogists using Pinterest. Looking at their pinboards tells me a little more about them than what I glean from other social networking sites. It will be a valuable source of genealogy resources as more users add genealogy related pinboards. It has put me in touch with some new genealogy contacts. I can only find two other Australian genealogists using Pinterest at the moment and they don't have genealogy pinboards. I like this way of organising links. I will not be giving up Delicious as my bookmarking tool quite yet. Pinterest is optimised for use on mobile devices so I can use it on my Android tablet. I hope it remains free to use. There are more females than males using Pinterest. Thanks, Caroline, for the invitation. If any of my readers are on Pinterest please say G'day by following me. I reported the death of my mother-in-law's cousin, Ron Woodhead, couple of weeks ago. In that post I remarked on the voluntary work Professor Ron did in the engineering faculty of a University in Peru. This morning I came across this tribute posted on Youtube by someone with links to the University. 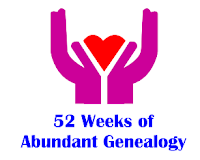 Week 3 – Free Online Genealogy Tools: Free online genealogy tools are like gifts from above. Which one are you most thankful for? How has it helped your family history experience? I am stepping up once more to take up the challenge posed by by Amy Coffin on Geneabloggers. There's no such thing as a free lunch! When applied to online genealogy tools this is not true. Due to the generosity of individuals and institutions we have a number of online tools that enhance our genealogy research. We often whinge about governments and ask where are our taxes going to so I am going to nominate some resources hosted and developed by government agencies. That governments at all levels are taking steps to preserve our history and heritage and make it available freely is commendable. The National Archives of Australia has a search facilty that provides access to digitised and hardcopy resources. Many service records from the First World War have been digitised and are freely available here. I have found handwritten letters from my grandmother to the authorities, photos of great-uncles, details of family members going AWOL and medical reports. These records are pure gold. Some immigration records of later arrivals have also been documented. Here I have also found letters and photographs that add richness to the cold facts in my database. Trove, the online collection hosted by The National Library of Australia is our nation's treasure. Just last week I put in a recently deceased relative's name and was rewarded with two photographs of him. Trove is best known for its newspaper digitisation project that is just amazing. In New South Wales, the state in which I live, the State Records site hosts a number of online indexes that cover immigration, convicts, divorces, deceased estates adn other subjects. The best item I got from these records was a gaol photograph of my great-grandfather from the 1890's taken when he was arrested for a minor offence. This very clear head and shoulders picture is the only photo I have of him. Trips to the archives after using this search facility has netted copies of land transfers, convict indents, vital records and details of juicy divorce cases. An advanced search of Hansard, the record of the New South Wales Parliament, is available online from 1973. Entering one of my unusual family surnames brought back two results. Searching Hansard for people and places mentioned in parliament may yield some surprising results. On a local government level The City of Sydney Archives has a number of interesting collections. The Newtown Project provides historical information about the Municipality of Newtown. ArchivePix is The City of Sydney's Archives digital photograph bank. Other Local Authorities in New South Wales have similar local projects that are of use to genealogists. Pictorial Canterbury is a photo collection from The City of Canterbury. The Historical Council Minutes Index from Woollahra Council provides information on properties and people in the area. The St George and Sutherland Shire Leader has been selectively indexed by the staff at Sutherland Library. The index can be used to search for articles in the Leader about topics of local interest. When searching for ancestors we mustn't neglect the free databases hosted by governments and government agencies. They may not have been designed with the genealogist in mind but they may yield some surprising results. Great news from Jonathan Auld on the Rootsweb aus-nsw-hills-hawkesbury-hunter-valley list. Thanks to the volunteers have produced this resource for those of us with Hawkesbury ancestors. Richmond, Richmond Presbyterian Cemetery http://www.hawkesbury.net.au/cemetery/richmond_presbyterian/index.html "
Ancestors from Orange, NSW? Can you help? OFHG BLOG: WWI Centenary Community Project Begins: "http://www.centralwesterndaily.com.au/news/local/news/general/battle-to-name-our-soldiers-begins/2420152.aspx#"
Google Alerts - Hit and Miss? On the recent episode of Geneabloggers BlogTalk Radio Dan Lynch discussed using Google Alerts to discover pertinent new information relating to genealogy. I am a great fan of Google alerts and have been using them for several years to find news to share with fellow genealogists via my blog, Twitter and lately Google+. I have a number of alerts for general and Australian genealogy and android genealogy news plus alerts for the uncommon surnames in my tree. Vanity causes me to have alerts for Geniaus, GeniMates and Jill Ball Genealogy. From the options on offer I have selected All results for some alerts and Only the best results for others. I have been constantly underwhelmed by the number of alerts that arrive even for those alerts for which I have selected All results. I know that Geniaus is mentioned in blogs and on Twitter each day yet only on rare occasions do these mentions appear in my Google Alerts! If you are not using Google Alerts I suggest that you should be but be aware that the results may not be as comprehensive as one might expect. What has been your experience with Google Alerts? I found it interesting to read what the bloggers from Techcrunch packed for their excursions to the recent CES event in Las Vegas. I am impressed that blogger, Linda McCauley, is only travelling with her Android tablet and 'phone to Rootstech. As I ponder what I should take I am looking at my list for 2011 and deciding how to amend it. Here is what I planned to take with alterations and additions for 2012. I actually took the netbook but in 2012 will take my new laptop. I have voice recognition software on the laptop and, with my lack of typing skills, will find this useful for blog posts. The laptop also seems to have more grunt to pick up free wifi signals. Yes a new 1 terabyte model - last year's model doed not have enough storage. 2 digital cameras for 2012 - I have a new 4/3 G3 Panasonic Lumix that takes great pix but the point and shoot is great to take everywhere. I will be appointing Mr Geniaus to take photos for the blog while I attend sessions. I can lighten the load here - I might just take one! I will leave my Australian mobile at home. I'll transfer its SIM card to my Galaxy Tab. I will also take my AT&T GoPhone for local calls while in the US. This is a cost-effective option for overseas visitors to the US. * Power adapters so I can use US power outletsCan cut down on these as GoPhone and Laptop were purchased in the US. Will use netbook sleeve to store all of these. * Hot pink laptop bag (It will be easy to ID)Will put laptop in hot pink sleeve in cabin bag and leave laptop bag at home. Last year Rootstech gave us a computer bag and then I had two! Wish I knew what their plans are this year. * I will be purchasing a Flip-Pal mobile scanner at the conference.I bought the Flip-Pal but will be leaving it at home. I can use camera or Galaxy Tab with CamScanner to collect images from the FH. * I might purchase a Galaxy Tab (if the price is right) while there. They are around half the Australian price in the US but I won't have an Australian warranty - should I take a gamble? Purchased in Australia post Rootstech. It will be travelling with me and in my handbag at all times. It will double as an ereader. I like to purchase travel guides in ebook format. Do I need to purchase a mobile hotspot device? * I will buy a prepaid SIM card for my 3G Smartphone when I arrive so that I have internet access. In addition I will be adding taking my US GPS device - it may avoid some heated discussions as we set off on a six week US adventure post Rootstech. I just hope my carryon baggage is under the limit! What is inside your gadget bag for Rootstech? Just noticed that the BDM link on your Geniaus blog (http://www.bdm.nsw.gov.au/familyHistory/search.htm ) is broken. I am thrilled to see that my kids drop by my blog every now and then. I hope they are interested in the random family stories I post. The next one in the pipeline is for the Twigs of Yore Australia Day Wealth for Toil challenge. I also appreciate being notified of any broken links or erroneous information that I might publish. So, please take a leaf out of my son's book and let me know of corrections that I should make. 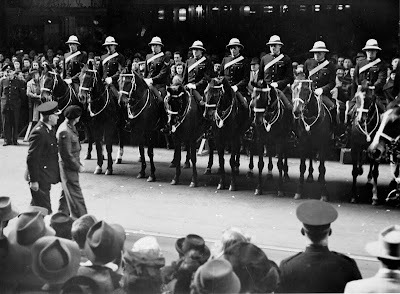 65 years ago today on 13 January 1947 my dad, Allan John Curry, joined the NSW Police Force and was an officer until he was discharged as medically unfit due to his diabetes in the early sixties. I recently found this photo of him taken in 1947 at "The Police Depot". From his uniform it looks as though he was dressed for motorcycle duties. I know that he was later a member of the mounted police and in suburban stations but was not aware that he also rode a police motorcycle. I need to apply for Dad's police record so that I can find out the various activities he was invloved in during his time in the force. I should also shown more interest when he told stories about the various Sydney personalities he came in contact with like Bea Miles, Tilly Devine and Bumper Farrell. I am sure Dad took some great stories to his grave. How soon is very soon? Earth to Rootstech - Is anyone home?